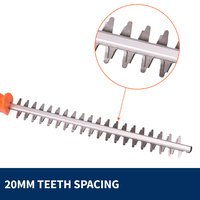 All you need for a perfectly manicured garden can be found in our 3-in-1 12” bar and saw with different extensions! 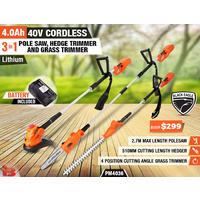 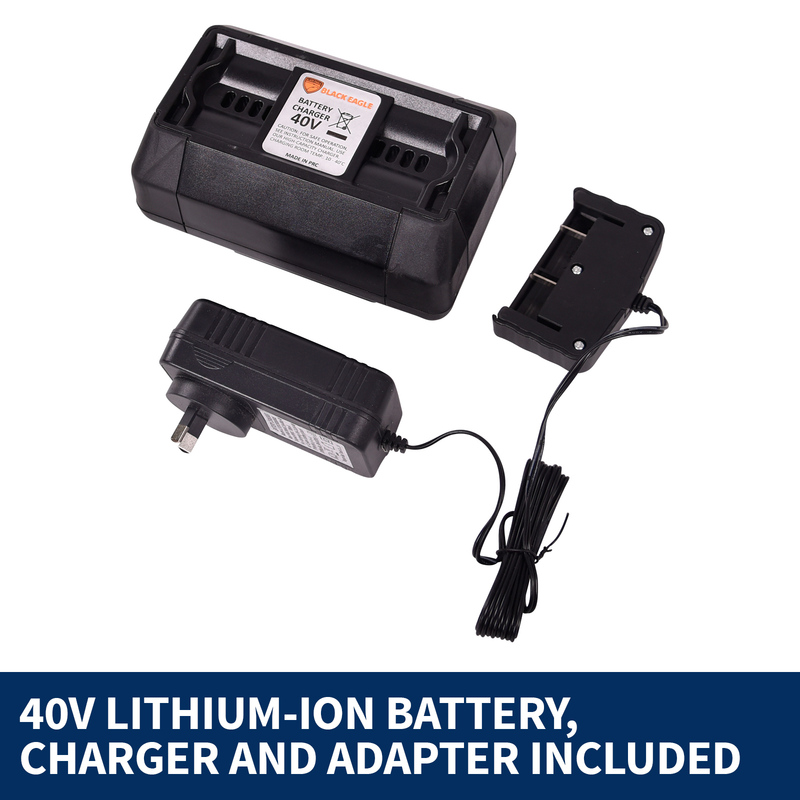 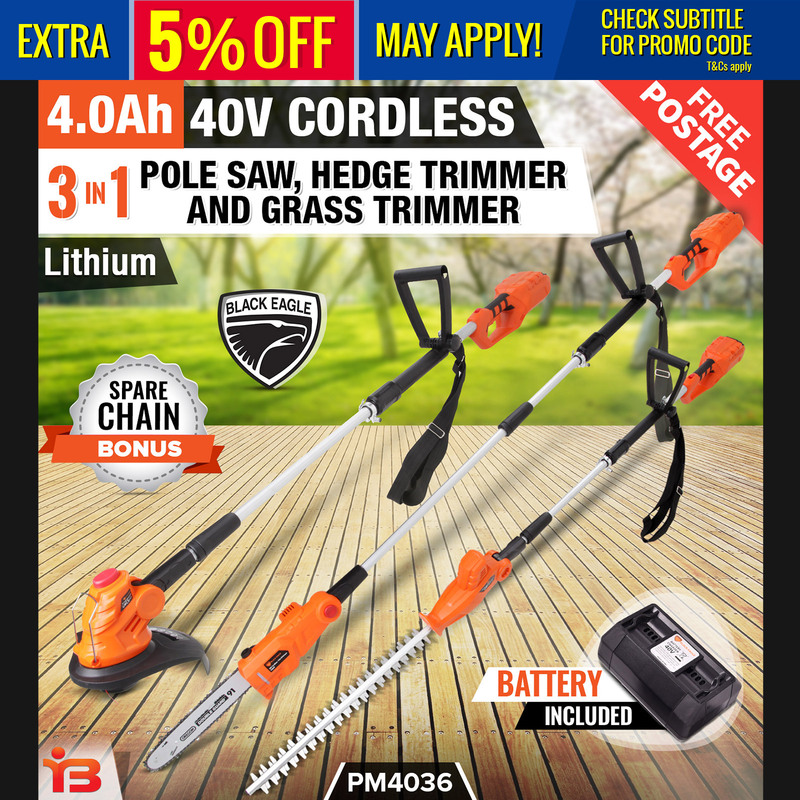 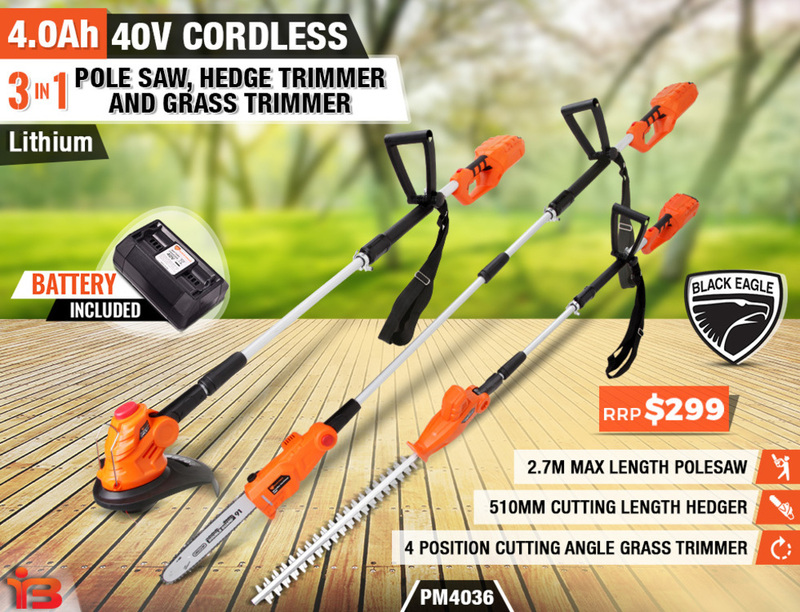 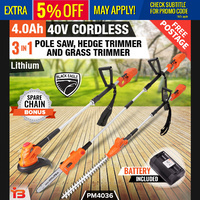 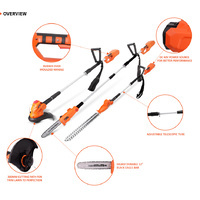 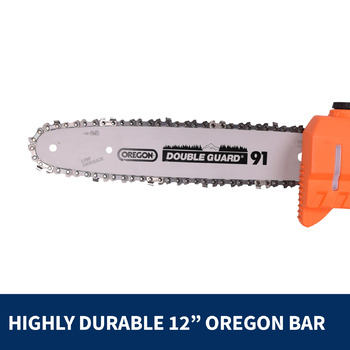 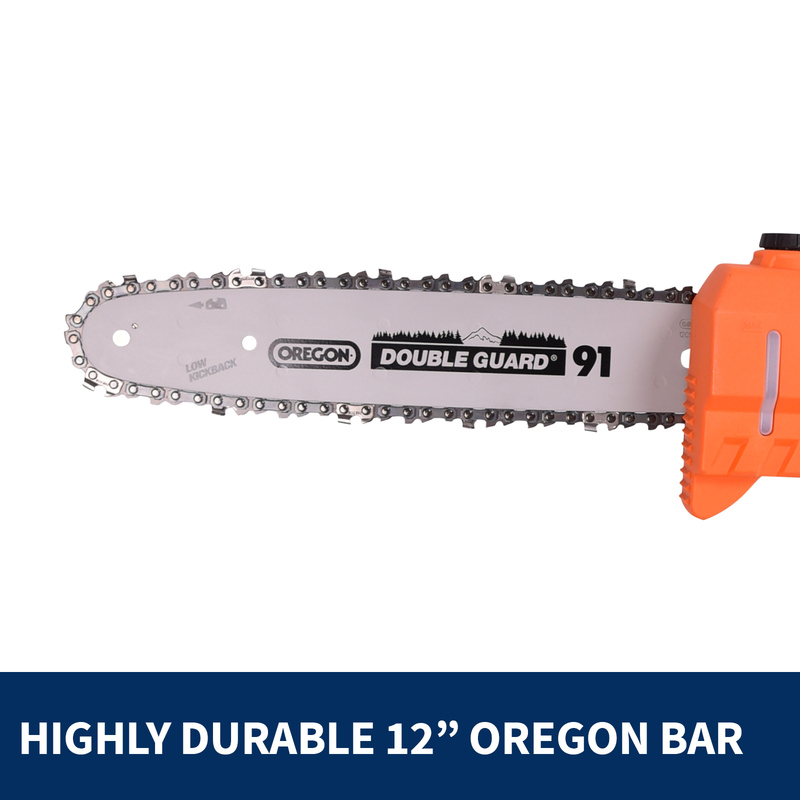 We are offering a 40v 4.0Ah 3-in-1 cordless pole saw and hedge - and grass trimmer. 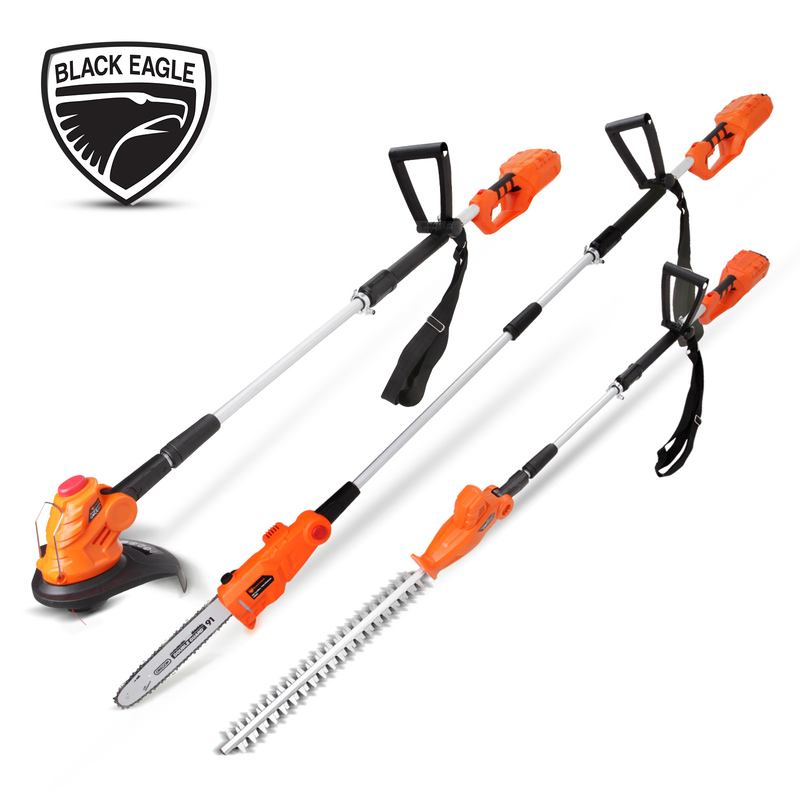 Your dream garden can now become a reality! 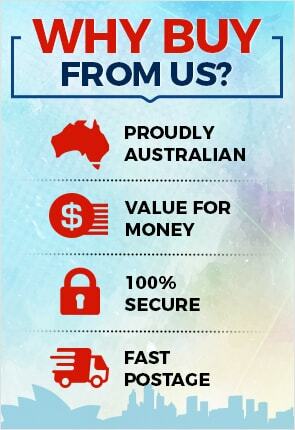 It’s as easy as 1, 2, 3! 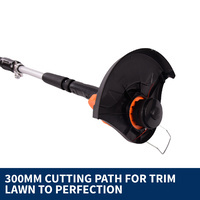 Just clip on the extension you need and start sculpting your garden to perfection. The hedge trimmer features a no load speed of up to 1200rpm with an amazing cutting length of 510mm and a teeth spacing of 20mm. 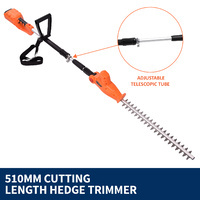 Trim your hedges to perfection without interruption for up to 100-110 minutes. 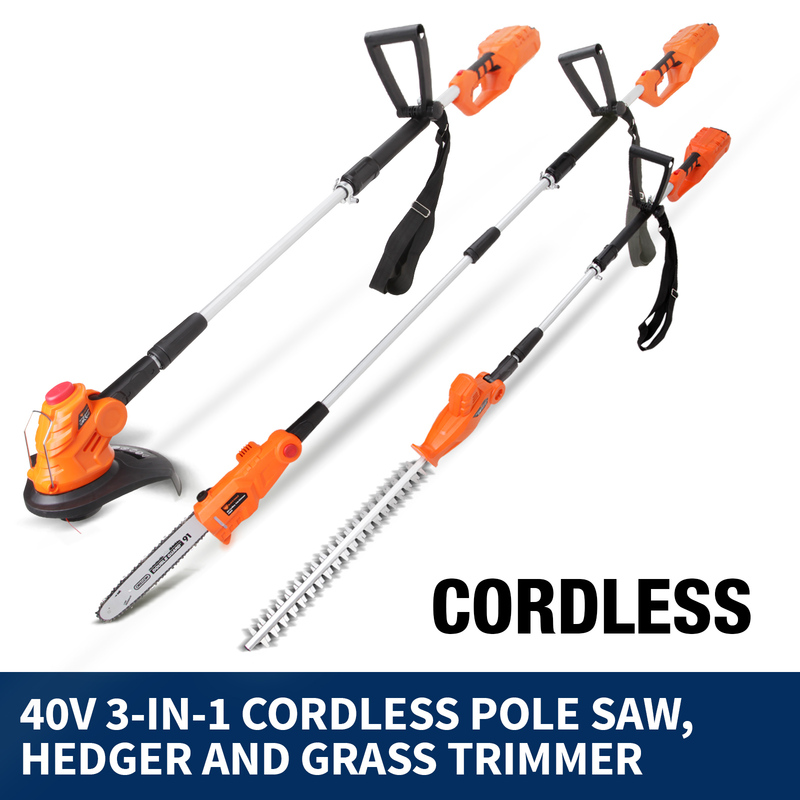 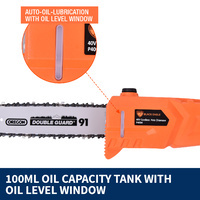 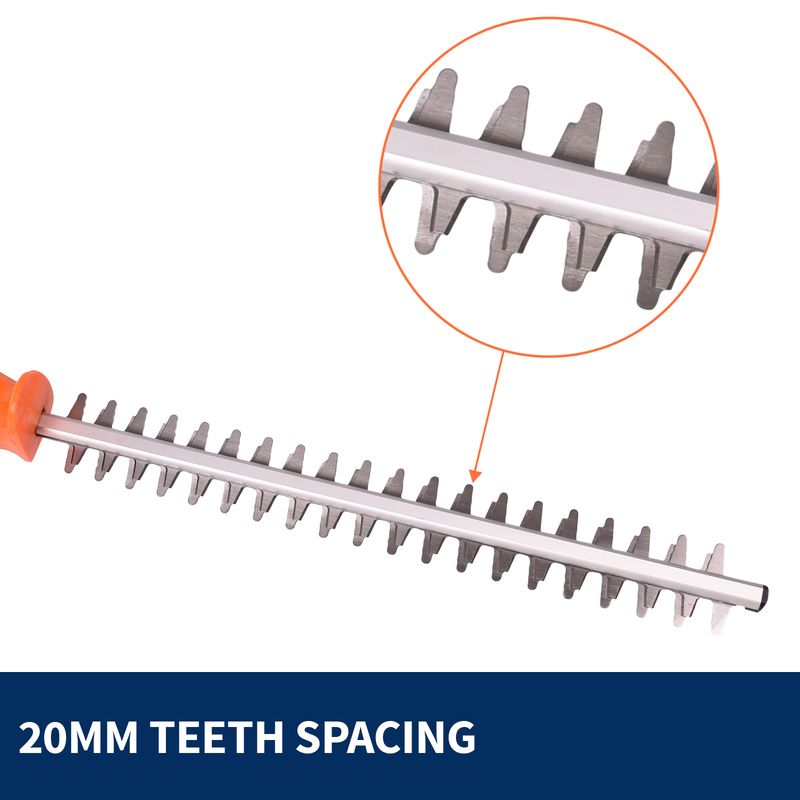 The pole saw allows you a cutting length of 250mm and can reach speeds of up to 3.5m/s. 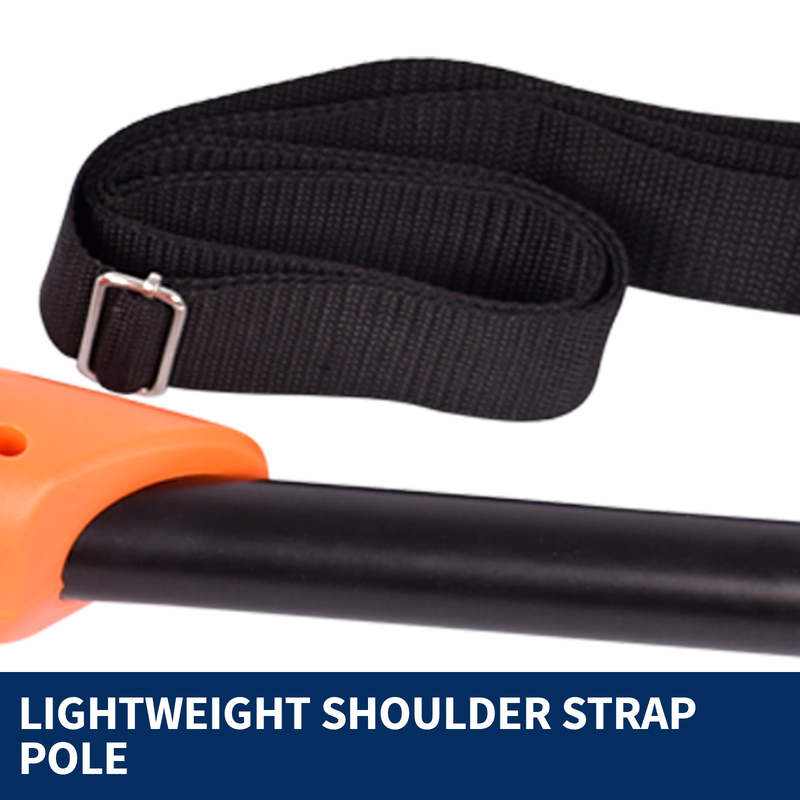 For all those hard to reach spaces the pole saw features a length of 2.2-2.7m. 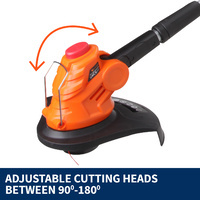 An added feature allows the head to be rotated in three directions and has a quick fastening system for ease of use, allowing further mobility. 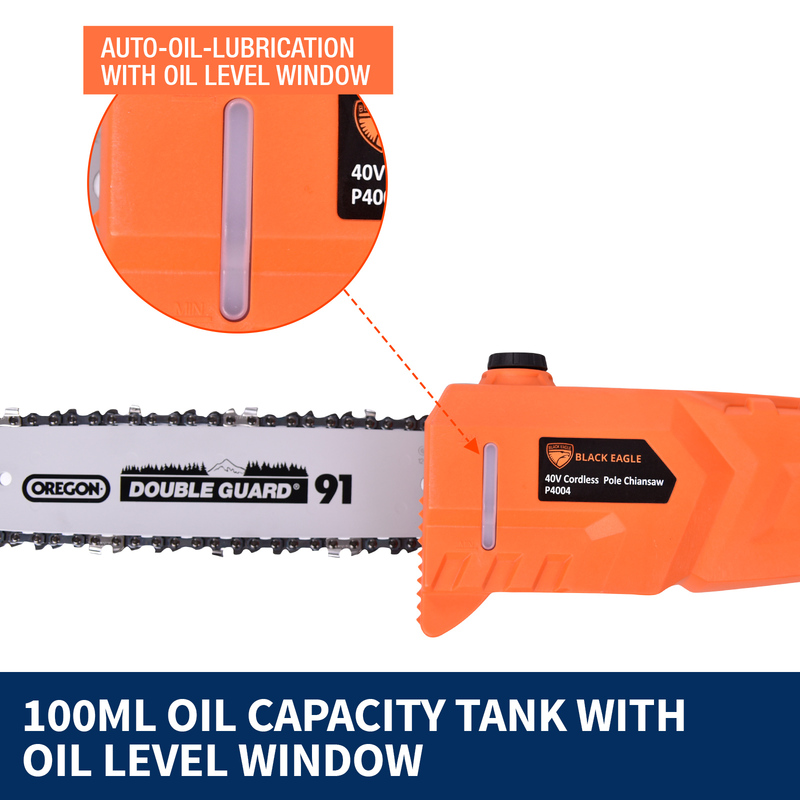 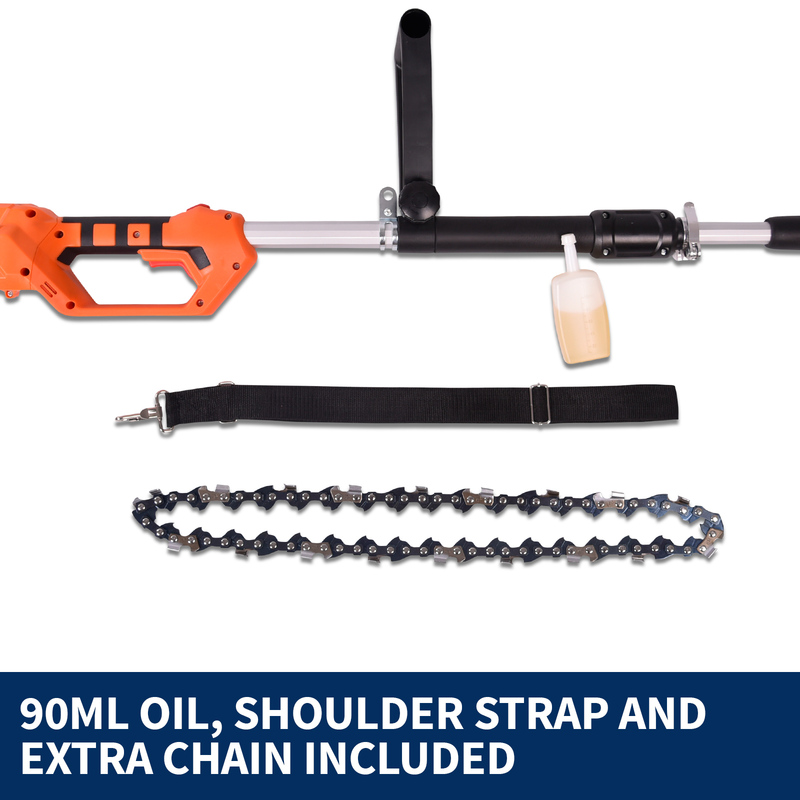 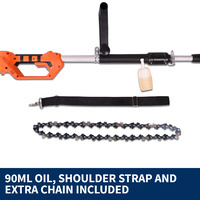 The automatic oil motor has a 100ml capacity to keep the chain lubricated at all times so you can trim away with ease of mind. 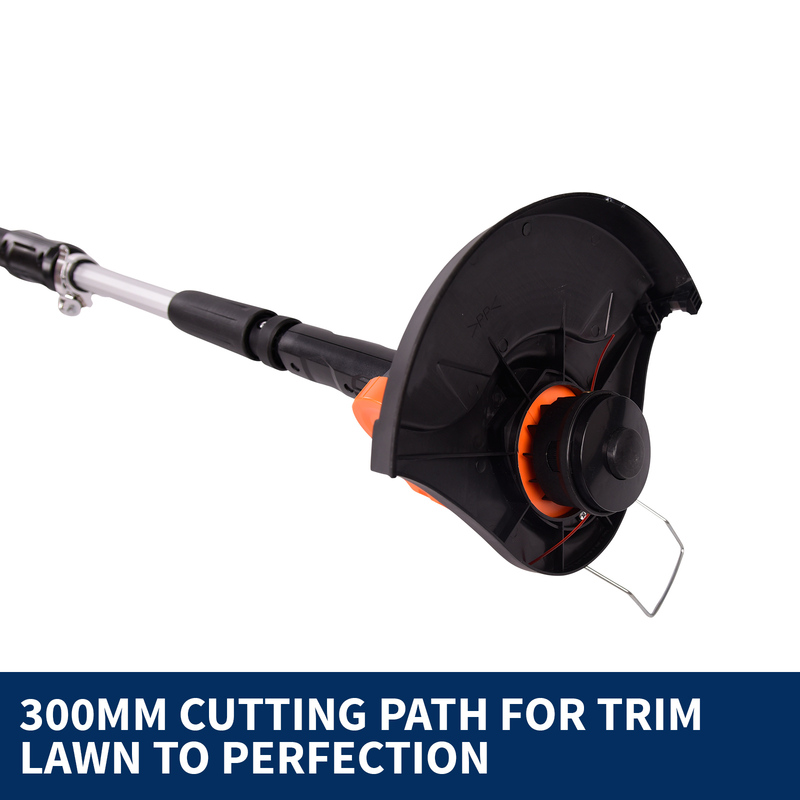 Trim your grass to crisp clean lines with the grass trimmer that has a no load speed of up to 7500rpm and a cutting path of 300mm. 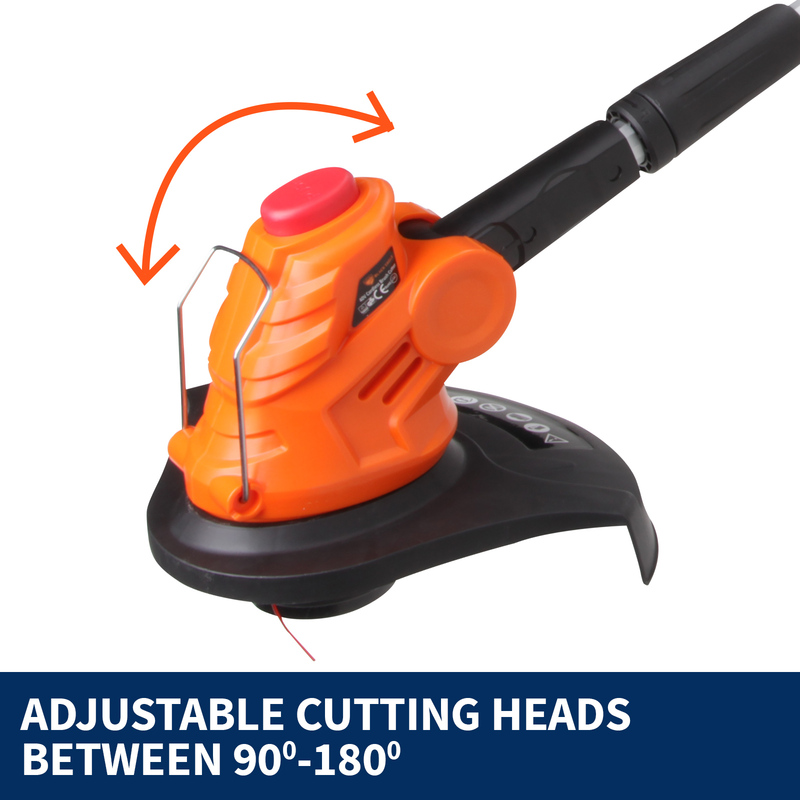 The cutting head can be adjusted to four different positions from 90 - 180 degrees. 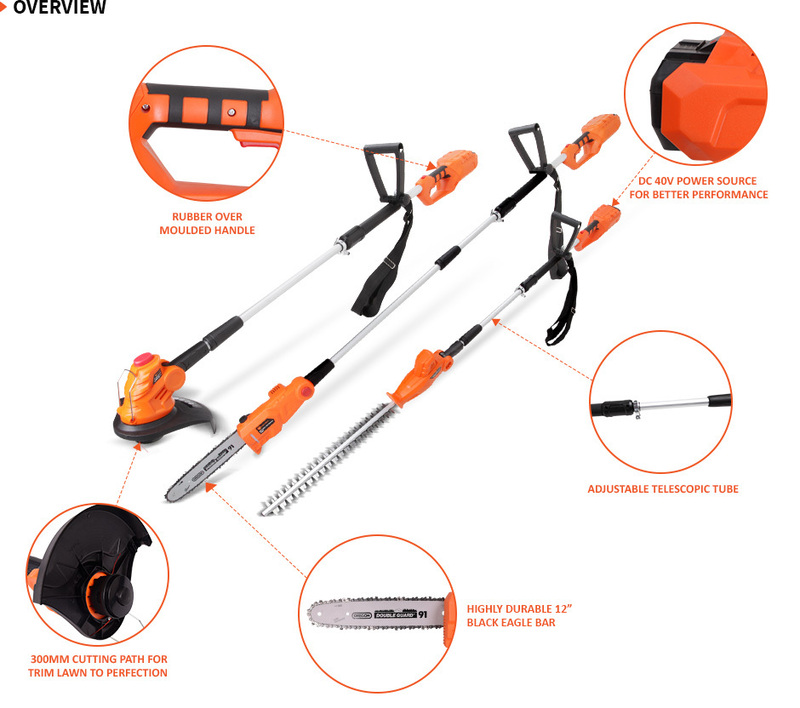 The grass trimmer can be used for up to 45 minutes of no load time and 30minutes working time. 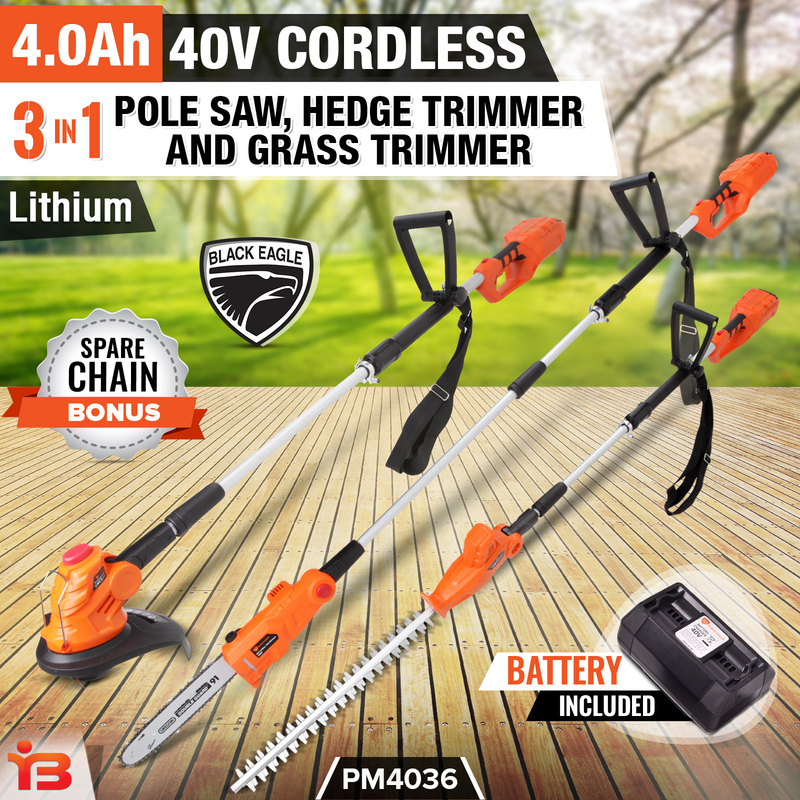 This all in one deal makes for the perfect combination of gardening equipment to create your dream garden!